A few weeks ago I wrote about my friend who will be visiting Paris with his family this summer. On the same trip, they will also be spending a few days in Amsterdam. Although the Dutch city does not have as many famous tourists sites as Paris, there is plenty to see and do there. With a short visit, they will only be able to visit a few highlights. The central part of Amsterdam is laid out along a pattern of canals. Three main canals – the Herengracht, the Keizergracht, and the Prinsengracht – form an arc through the city. 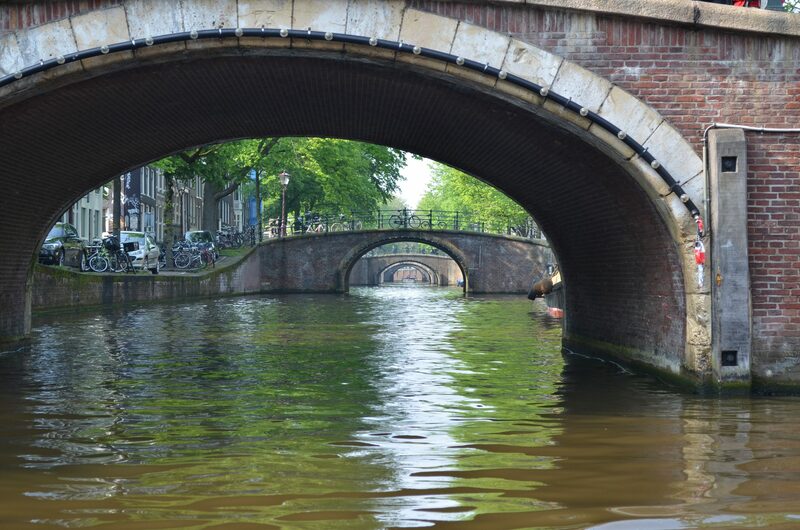 Outside this arc is a large canal – the Singelgracht – which encloses the city center. The city began within this central ring, but several popular attractions are located outside the center. In addition to the main canals, other small canals echo or intersect the ring. The Singel follows the inside of the arc on the west side. No less than ten substantial canals (and even more minor ones) intersect the canals so boats can move from one ring to the next. In addition, the Amstel River flows through the eastern side of the city center. Although there are many canals, the city is also connected with streets and bridges. Cars, bikes, and public transportation are options for getting around. 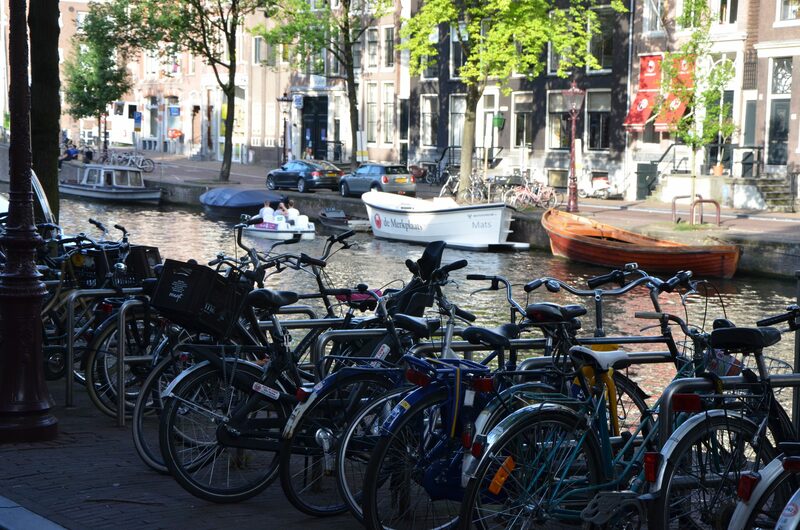 Many of the canals have a street that runs alongside them, so travel by car or bike is possible. I wouldn’t recommend that tourists use a car in the city though – the streets are narrow and I’ve seen traffic congestion at awkward intersections. For people with experience, bikes are a great way to get around. Bikes are seen all over the city. Some streets have dedicated bike lanes, while on other streets, cyclists use the same roads as cars. Drivers and pedestrians have come to expect bicycle traffic and pay attention. Travelers should always watch for bikes when crossing roads. The easiest way for tourists to get around the city is with the use of public transportation (follow the link for my advice). The tram and bus system is easy to use and it doesn’t take long to become familiar with how it works. For a first time visitor, a canal tour is a must. These tours offer an overview of the city and its most famous sites. The view of homes and buildings from the canal is unique. There are larger boats that provide tours, some in conjunction with the I amsterdam tourist card. These tours can also be purchased without the card. On each tour, highlights are pointed out and interesting facts are given – often in four or more languages. Private or semiprivate tours are available on smaller boats which offer more personal attention. Another option is a Hop On Hop Off canal boat. 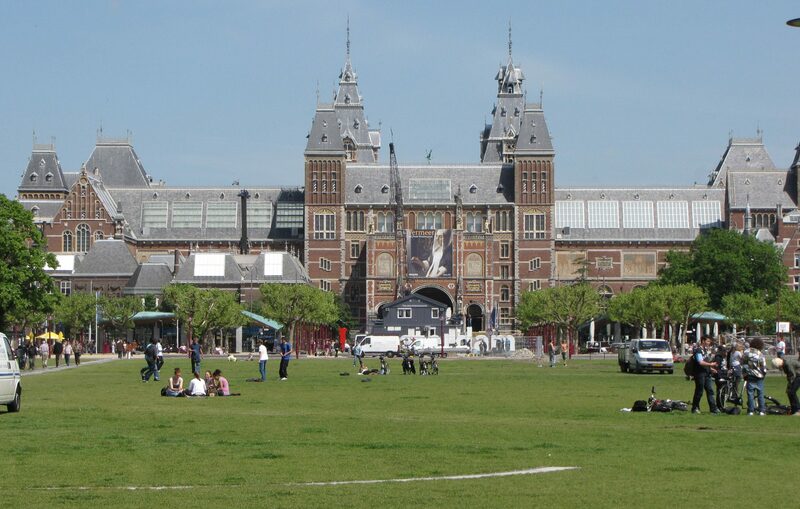 Located in Museum Quarter, just outside the city center, is Amsterdam’s most famous museum, the Rijksmuseum. The museum focuses on painters from the Dutch Golden Age. Several works by Rembrandt van Rijn are on display including his large painting, The Night Watch. Works by Rembrandt’s contemporaries, Johannes Vermeer, Frans Hals, and Jan Steen also grace walls of the museum. The museum recently completed a major renovation and after several years, the entire museum is open to the public. In commemoration of the 350th anniversary of Rembrandt’s death, the museum is celebrating the artist in 2019 by displaying its complete collection – nearly 400 pieces – of his work. My favorite museum in Amsterdam, also located in the Museum Quarter, is the Van Gogh Museum. It houses over 600 paintings and drawings, and over 700 letters. 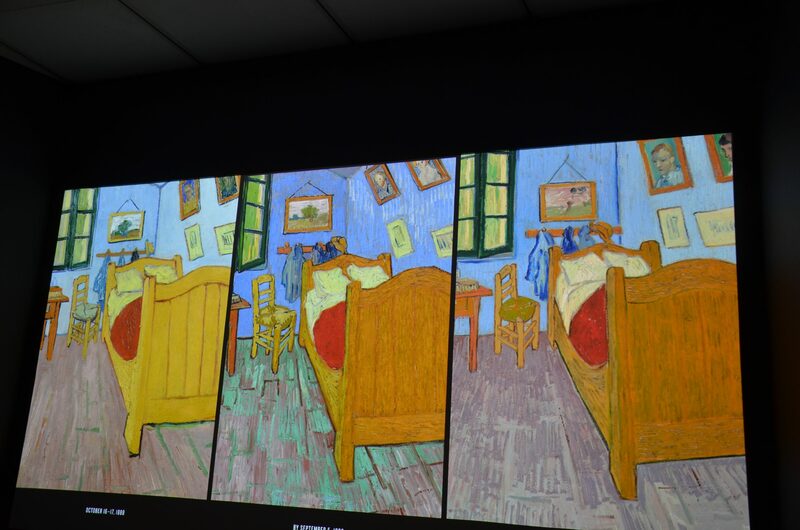 One version of Van Gogh’s Bedroom in Arles is owned by this museum. In addition to works by the named artist, works by several of his contemporaries are also displayed. Continually changing temporary exhibits add to the appeal. If you’ve read The Diary of Anne Frank, you may want to visit the house where the Jewish Frank family lived in secret during World War II. The diary chronicles the daily struggles of the family in hiding. The Anne Frank House is the building (in its original state) where the family hid during the war. If you read the book as a child, visit the Anne Frank House website for a refresher. I visited the Anne Frank House the first time I was in Amsterdam. I found the visit touching and inspiring and would recommend it. Over a million people visit the house each year, so it can be crowded. Time-specific tickets are available to purchase online. 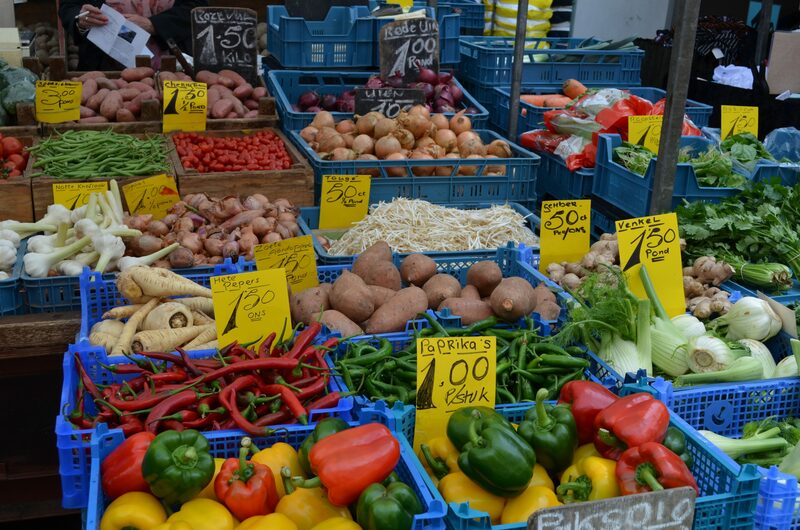 In Amsterdam there are over 20 markets – some open daily, others a few days a week. Three major outdoor markets that I find the most interesting are the Bloemenmarkt, the Albert Cuypmarkt and Waterlooplein. The Bloemenmarkt is the world’s only floating market, finding its home on the Singel Canel. Houseboats full of flowers line the edges of the canal – you can find seeds, bulbs and fresh flowers. Many of the seeds and bulbs are certified for export, so you can bring home a piece of the Netherlands. The Albert Cuypmarkt sells anything and everything out of its more than 300 stalls. Located on Albert Cuypstraat, the market has been in existence for over 100 years. There are booths with produce, clothing items, and fabric. Waterlooplein is a flea market – the market where haggling is allowed. Over 300 vendors sell new and used clothing, junk and a few antiques. It is a great place for people watching. Translated rice table, the rijsttafel is a Dutch-Indonesian feast. 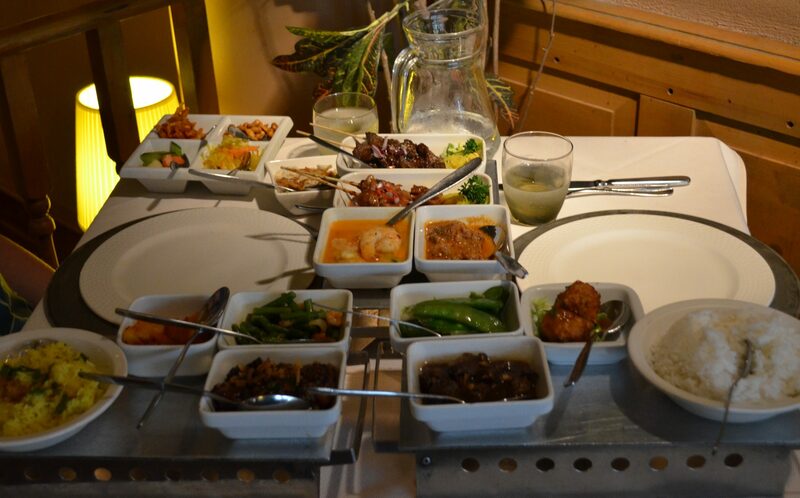 The meal consists of two or more kinds of rice served with a multitude of dishes. Pork, beef, duck, seafood, and vegetables are popular. The first time I was in the Netherlands, my husband and I ate at Sama Sebo, the most popular Indonesian restaurant at the time. I returned with my daughters several years later. Although I enjoyed the food, it was a little spicier than I prefer. The last time I ate Indonesian food in Amsterdam, it was at Indrapura, chosen because food could be ordered mild, medium, or hot. Although these restaurants are still rated high on review sites, others are rated higher. If you choose to eat at an Indonesian restaurant – which I recommend – check the review sites to read about your options. There is so much more to Amsterdam than I’ve listed here. There are beautiful old churches, several more museums (not just art museums), music venues, and pannekoeken (Dutch pancakes). If your visit is for just a couple days – like my friends’ – you will have to choose which sites or activities you want to squeeze in. In one long day, you could visit the Anne Frank House, The Rijksmuseum or Van Gogh Museum, and eat dinner at a Rijsttafel. 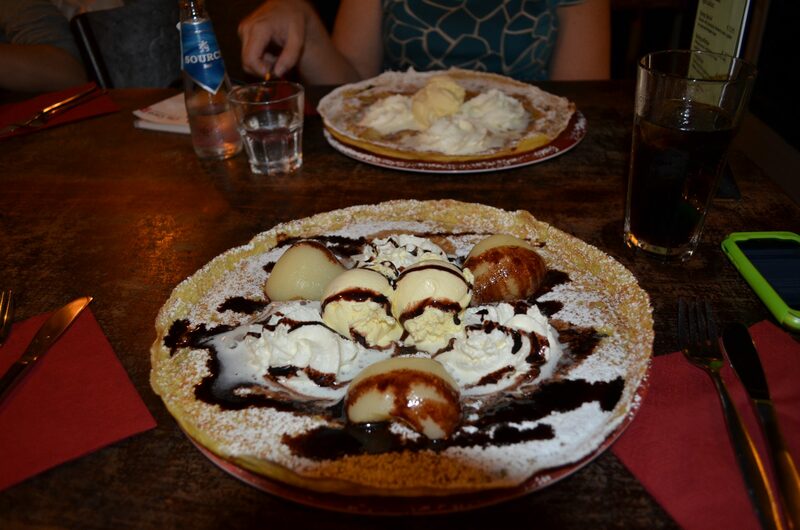 A second day could include a canal tour, another museum, shopping at the markets, and then a dinner of pannekeoken. There is so much to do in Amsterdam, that allowing only a couple of days, will just give a small taste. Sometimes that is what is needed to convince you to return for a longer visit.